Supplier of industrial air tight fans and pressure blowers, combustion air tight fan ventilators, Oven Airtight Fan and O.E.M. zero leakage fans in stock for heavy duty exhaust and supply low leaking air tight sealed fan air tight ventilation systems. Industrial Fan supply air tight Blower high temperature sealed blowers, air tight centrifugal fan and axial fan, air handling fan air tight ventilators, heavy duty industrial fans. 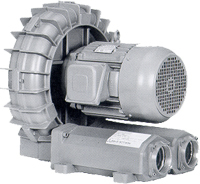 Industrial blowers, commercial fans, high-temperature blowers, pressure blowers, OEM fans, roof and wall fan ventilators, industrial process fans and OEM blowers, custom built fans, high pressure ventilators, dust collector fans, combustion radial blowers, oven circulation plug fans and OEM heat exchangers. Boiler fans create efficient combustion by supplying a consistent and reliable ait flow. Induce Draft Fans (I.D. Fans) operate at elevated temperatures and draw the air stream through the combustion chamber, then push it through pollution control equipment. Forced Draft (F.D. Fans) or Combustion Air Fans push the air stream into the boiler combustion chamber. Multi-Fuel Burning Power Boilers are used to create steam for different power needs. 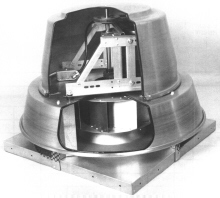 Induced Draft Fans are typically AMCA arrangement 3, single or double inlet with inlet box(es). Wheels often require abrasion resistant construction with radial tip or backwardly curved blades. Combustion Air FD Fans are typicallyconstructed of carbon steel, and utilize airfoil or backward inlined blade design. Common AMCA arrangements for combustion air fans are arrangement 3 and 8, both with inlet vane or outlet damper control.